Built in the very beginning of the fifteenth century, this tower is named after the project manager, a Mr. Henri or Thierry. 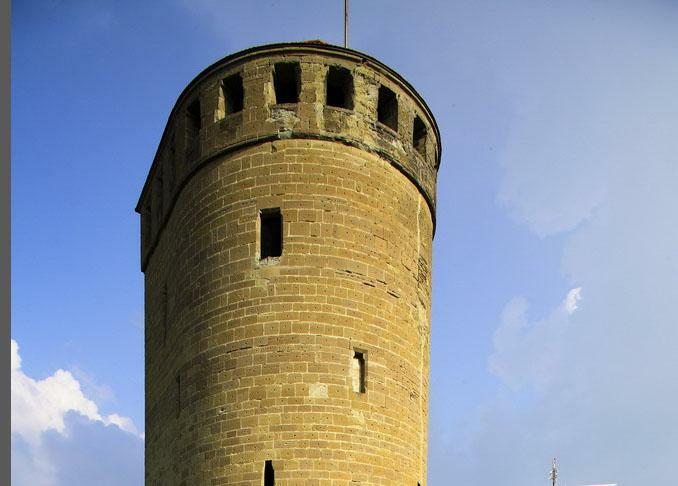 Technically and esthetically, it is the most outstanding example of Swiss Medieval fortress architecture-a fifteenth-century Mario Botta building of sorts! It is a 31-meter-high, semicircular shell structure of perfect blockwork with loopholes of great interest. The lower part of the walls is 3 meters thick.